a common developmental history and characteristics. free standing garages in the rear. 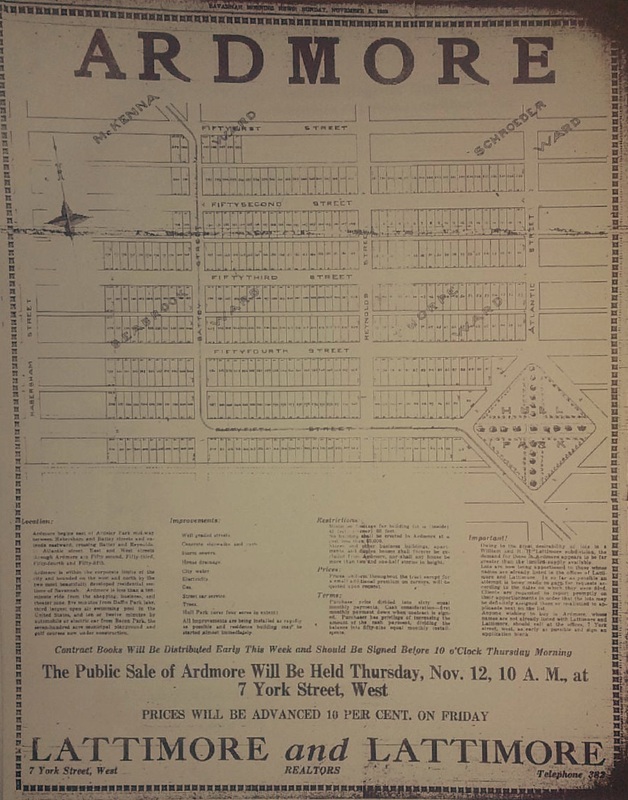 By the early 20th Century most of the area in what is now called the Thomas Square Streetcar District had been developed (Anderson to Victory Drive). 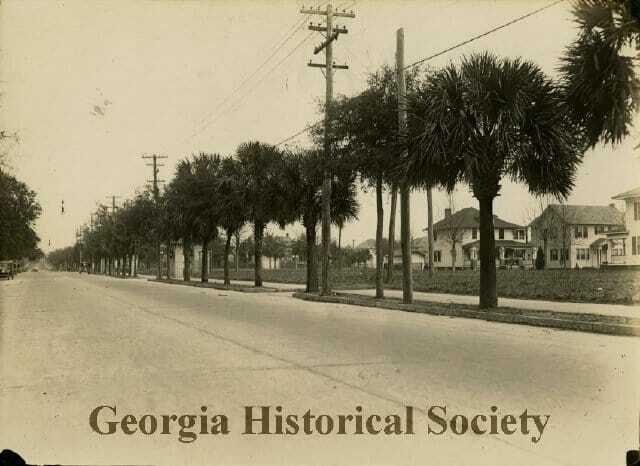 South of this midtown Savannah section lay open land and farm pasture. 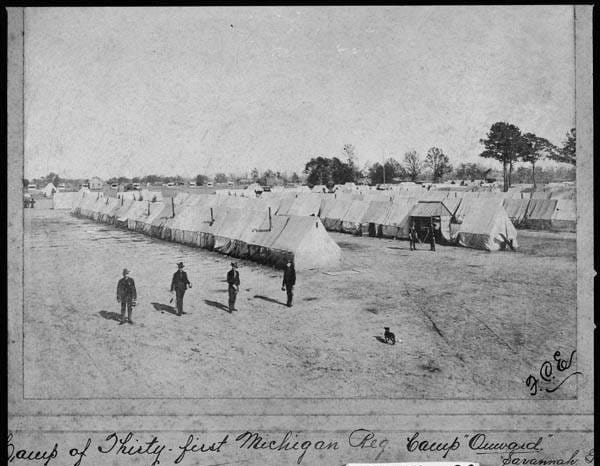 On the western end of these tracts were remnants of Camp Onward - a series of tents and barracks which housed over 13,000 soldiers during the Spanish American War. At the height of their stay in Savannah was a gigantic Thanksgiving Day dinner celebration hosted by the women of the city in 1898. Before shipping out for occupation duty in Cuba and Puerto Rico, the soldiers of Camp Onward held a grand review for President McKinley on December 17, 1898. 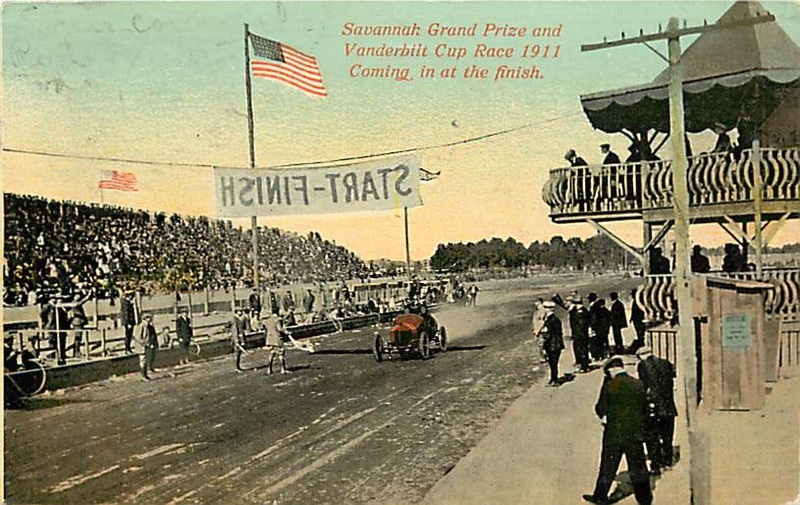 On the eastern end of the tracts were reviewing stands built for the prestigious Vanderbilt Cup automobile races (1910, 1911) and American Grand Prize race (1910). 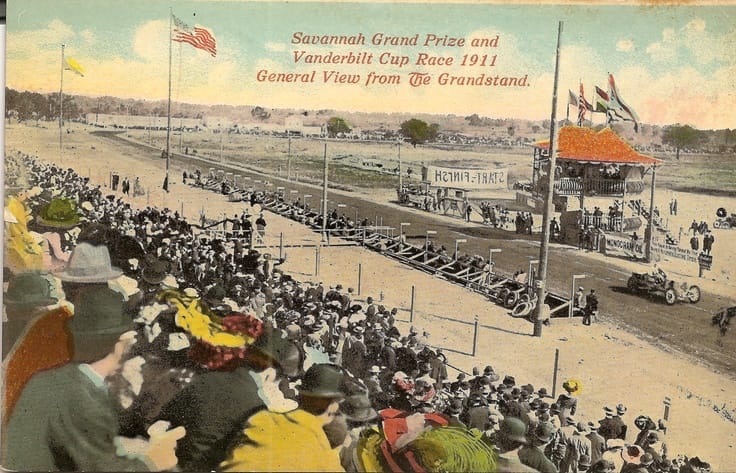 These races were run over a course of 17 miles in Chatham County and are considered to be some of the greatest international auto races ever held in the United States. 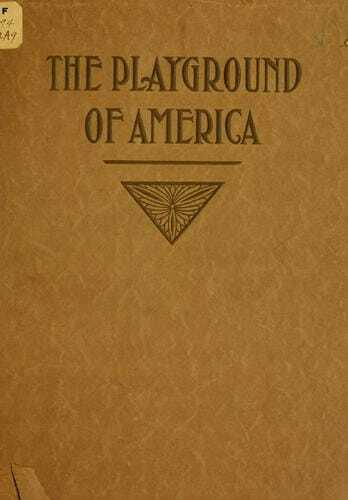 Their prestige and fame contributed to the development of the early automobile industry in America. 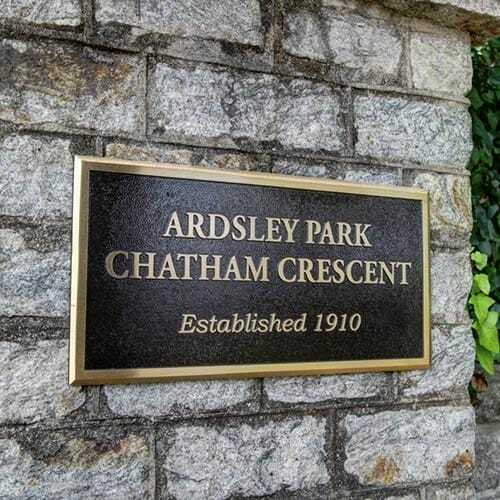 Immediately adjacent to Ardsley Park was Chatham Crescent - developed by Harvey Granger in the Beaux Arts style. 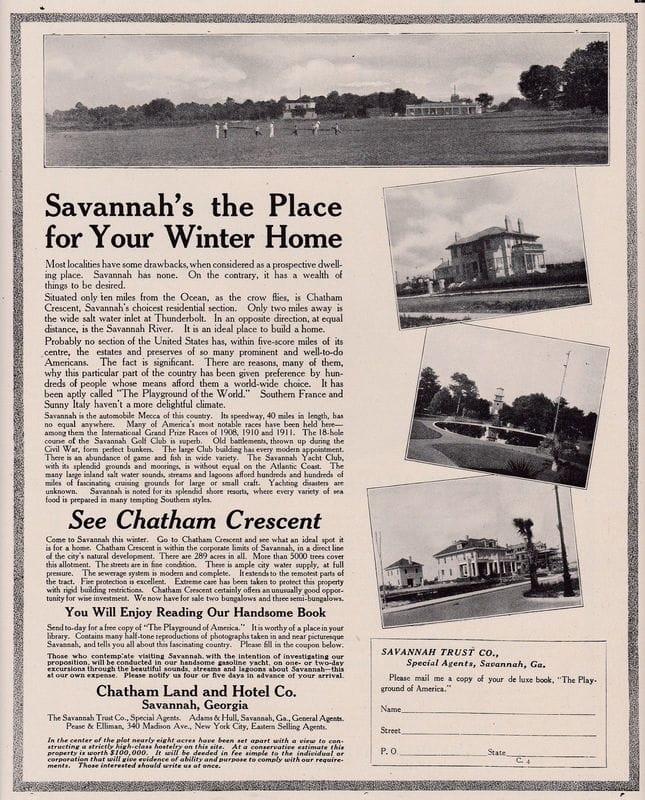 ​Residents interested in moving to Savannah could order this book from the Chatham Hotel and Land Company (published 1911). 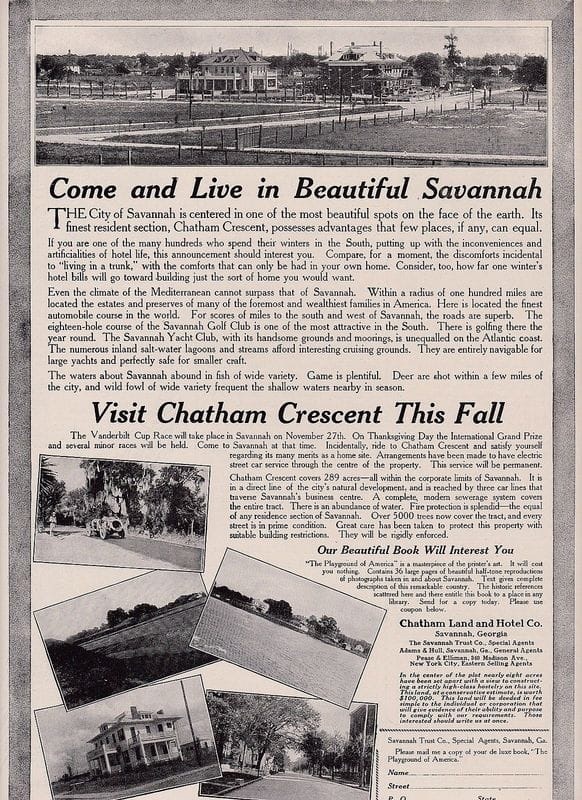 "The Playground of America" highlights the best of Savannah, while keenly advertising Chatham Crescent - "The most unique and beautiful subdivision south of Washington." Please click the image to the right for digital copy of the neighborhood prospectus. 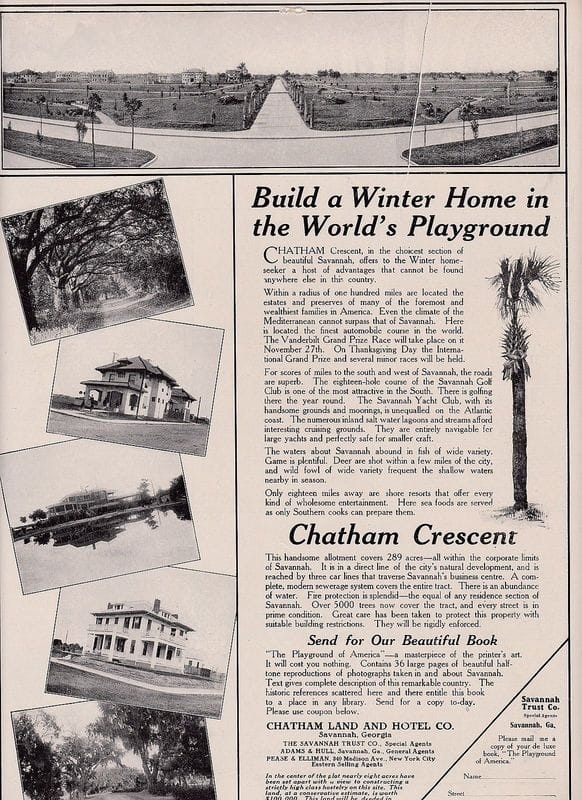 By the 1930's, development of Ardsley Park and Chatham Crescent was nearly complete. The Lattimore's then set out for their next development, Ardmore. 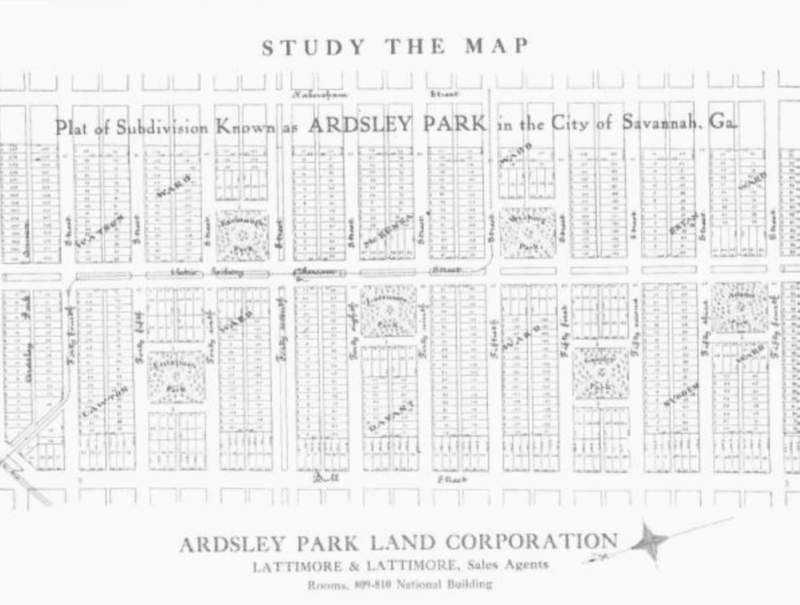 Running from 52nd Street to 55th Street to the South, and punctuated with a large, diamond shaped Hull Park, Ardmore would also become a popular Savannah neighborhood. 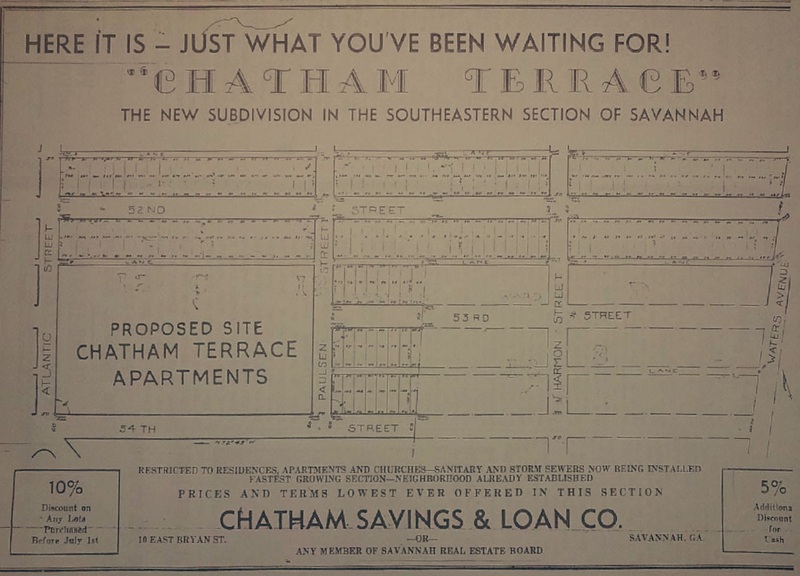 On Sunday, November 8, 1925, a full page ad in the Savannah Morning News reported the public sale of lots in Ardmore. The day after the sale, it was announced that every lot had been sold before noon the same day. 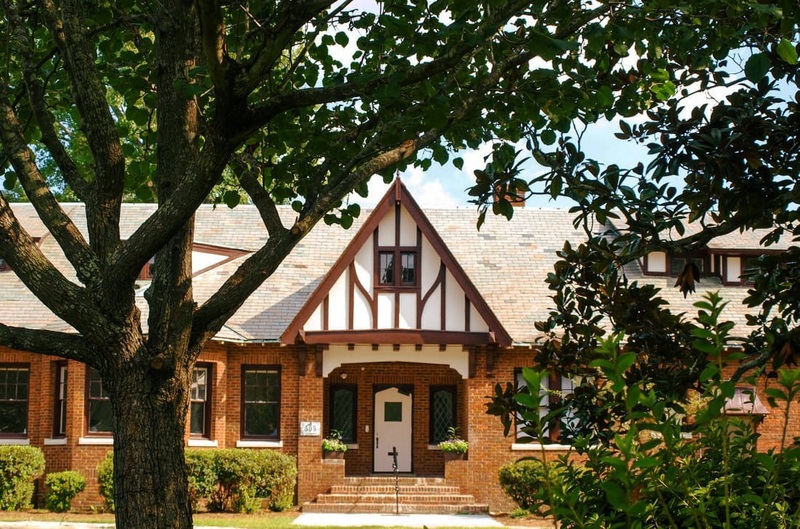 Flanking Hull park is the Gould Cottage for Children (now site of the Habersham School), funded by millionaire philanthropist Edwin Gould. Immediately east of the Lattimore's Ardmore development lay Chatham Terrace - A subdivision which extended building to Waters Avenue. 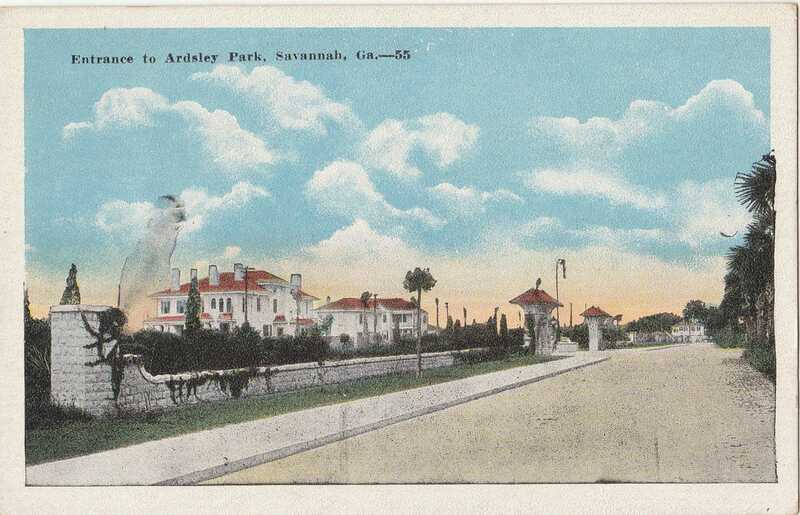 Savannah's Historic Neighborhoods: Ardsley Park, Chatham Crescent, Ardmore by Polly Powers Stramm.